Sunday’s column hits the highlights of the NYC leg of my vacation, in part by contrasting the big city and the Inland Valley. 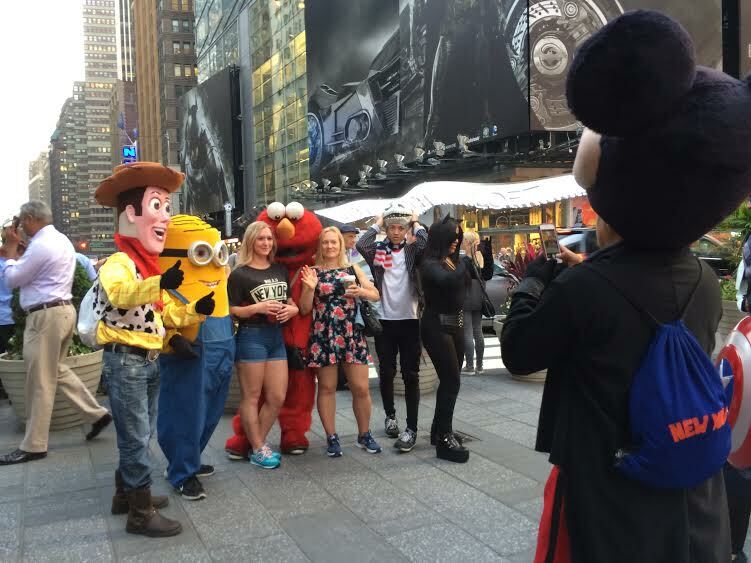 Above, Woody, a Minion, Elmo and Catwoman pose with tourists in Times Square while Mickey lines up a shot and Captain America watches. So exciting to see celebrities on the street! I always wanted to see NYC and never got around to it. If I were younger I would have wanted to do what you did. You were fortunate to have a friend you could stay with and also warn you about what not to do and where not to go. You got a good look at the local color, sans the rats and cockroaches–I would be glad not to see any of those things.